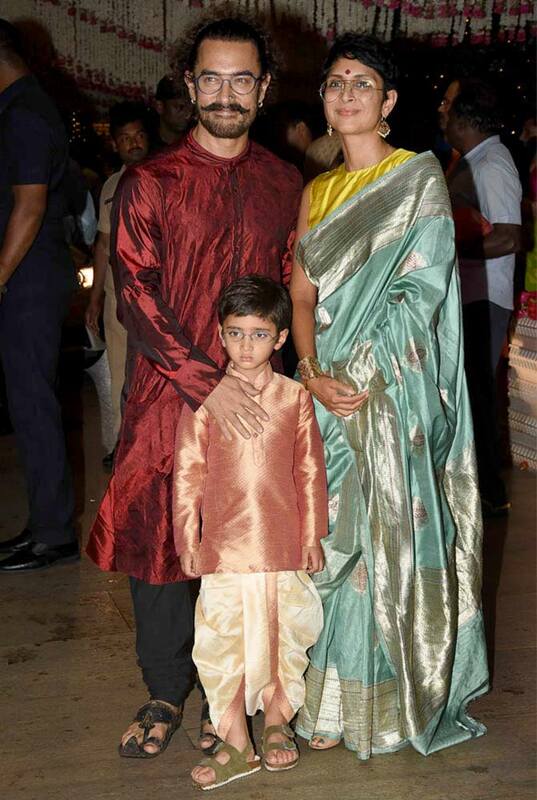 Rediff.com » Movies » This Diwali, take fashion lessons from Taimur! Move over adults, we have a whole new fashionable generation that we can take inspiration from! 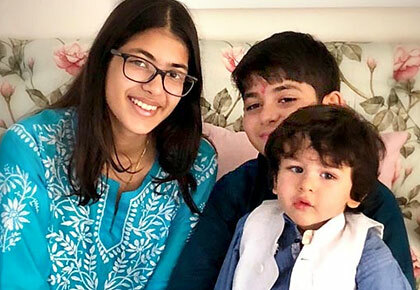 From Taimur Ali Khan to Aaradhya Bachchan, stars kids are celebs in their own right as popular as their famous parents. And they are such head-turners too when it comes to fashion. 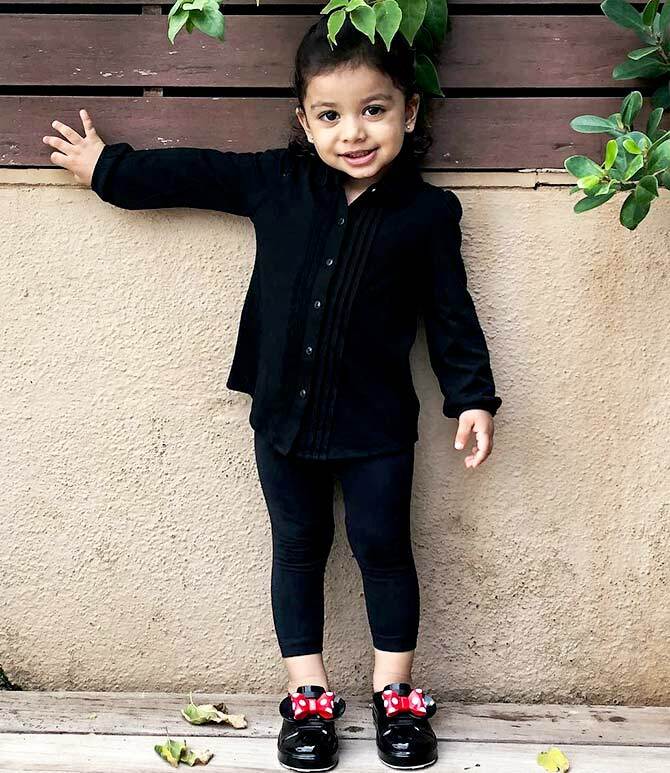 This Diwali, Namrata Thakker shows you how you can dress up your tot -- or even yourself! -- by taking style cues from the star bachchas! 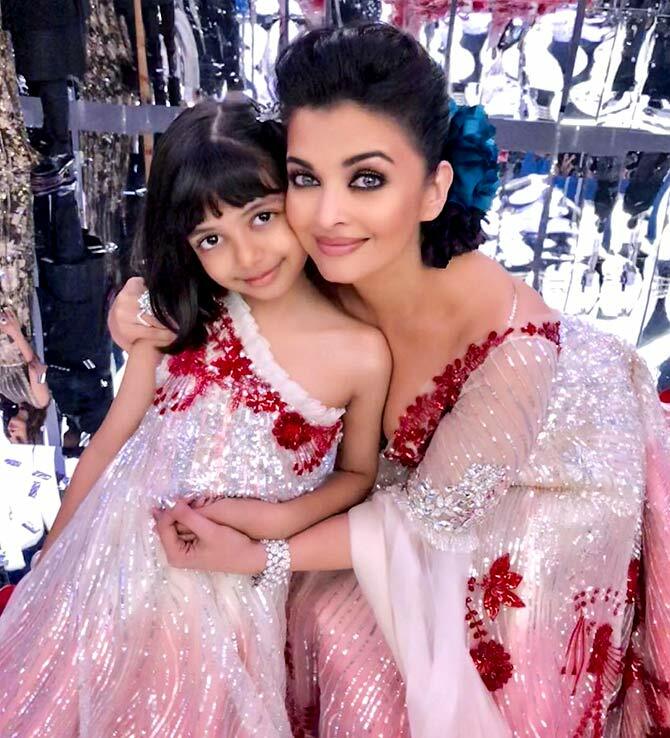 How pretty does Aaradhya look in her off-shoulder pearl-white and red outfit? It's cute, stylish and has all the bling. 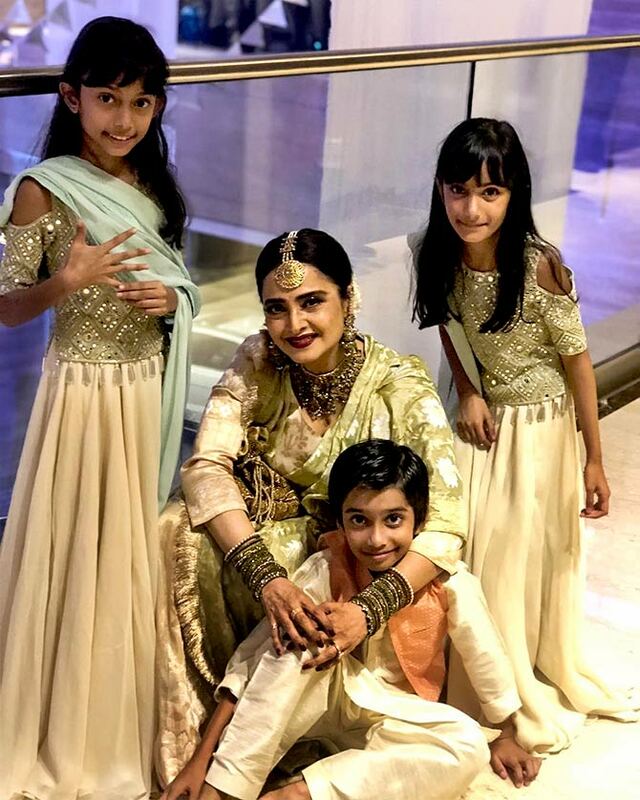 And if you love twinning with your kids, Aishwarya Rai Bachchan is the perfect inspiration. Nehru jackets can never go out of style and Taimur -- or Tim Tim as his dad calls him -- proves it. A simple kurta-pajama with a Nehru jacket is all you need this Diwali for your lil' boy to look suave and handsome. 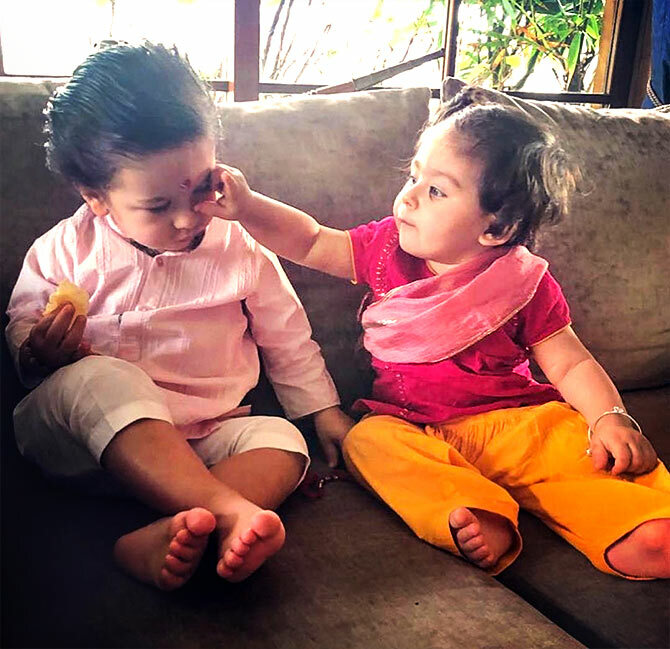 His cousin Inaaya, meanwhile, shows us how well pink and yellow complement each other! 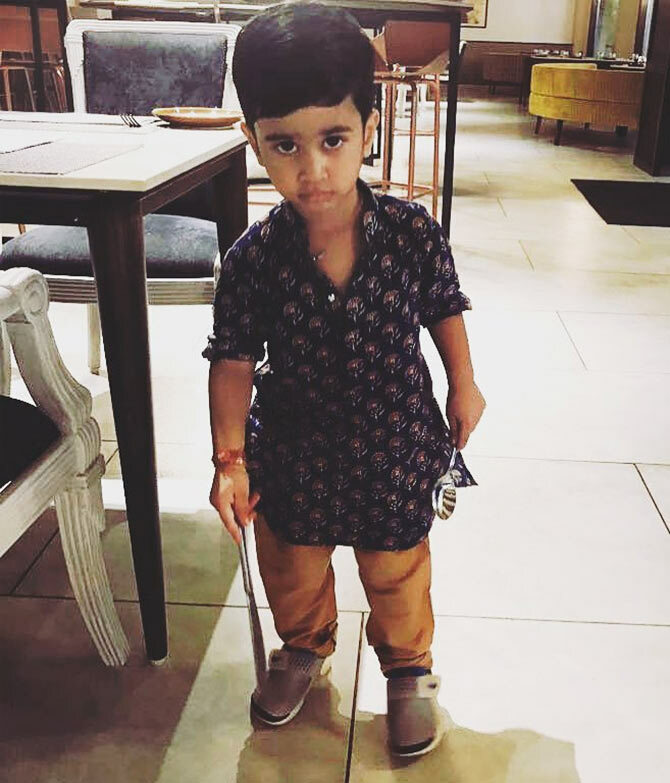 If you want to go more traditional, opt for a dhoti-kurta like the one Azad Rao Khan is wearing. We love how Farah Khan's girls, Diva and Anya, have paired a golden top with a plain, cream lehenga. That light blue dupatta adds much needed colour. Choosing bold colour outfits for Diwali is a good option too. 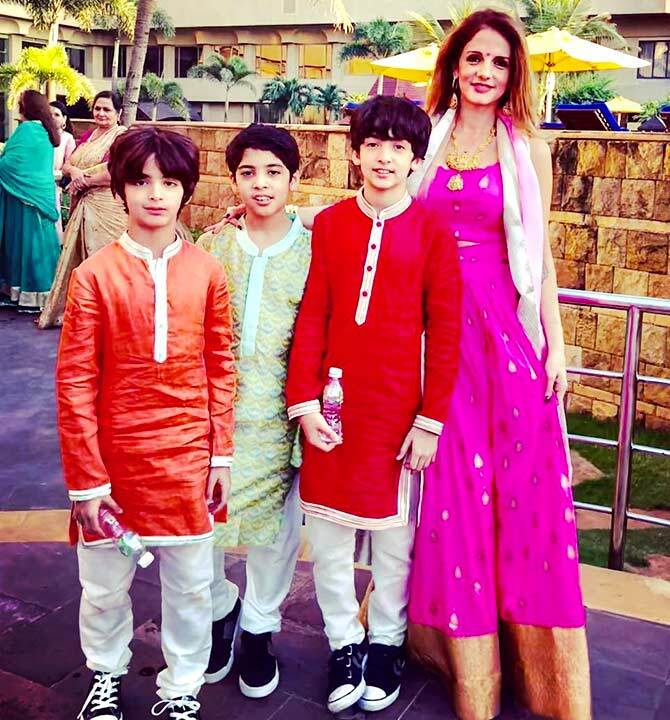 Like Hridhaan and Hrehaan Roshan, go for bright orange and red kurtas with a bit of gold. If traditional isn't your cup of tea, go casual and classic. 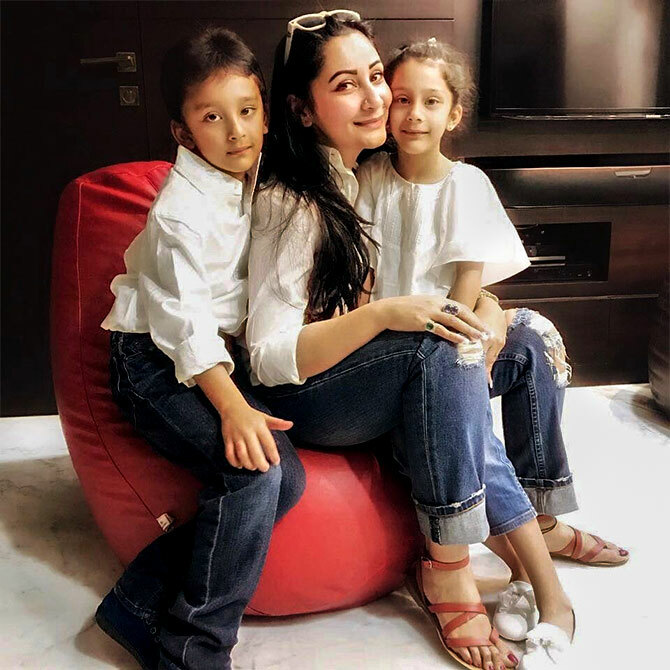 Pair a crisp white shirt with blue denims and you're set for the Diwali festivities, just like Maanyata Dutt and her twins, Iqra and Shahraan. Or how about casual black, with a little colour in your shoes? Shahid Kapoor's daughter Misha looks super adorable so why not give it a try! And if all these fashion options are confusing, stick to a simple printed kurta with a pair of pajamas! 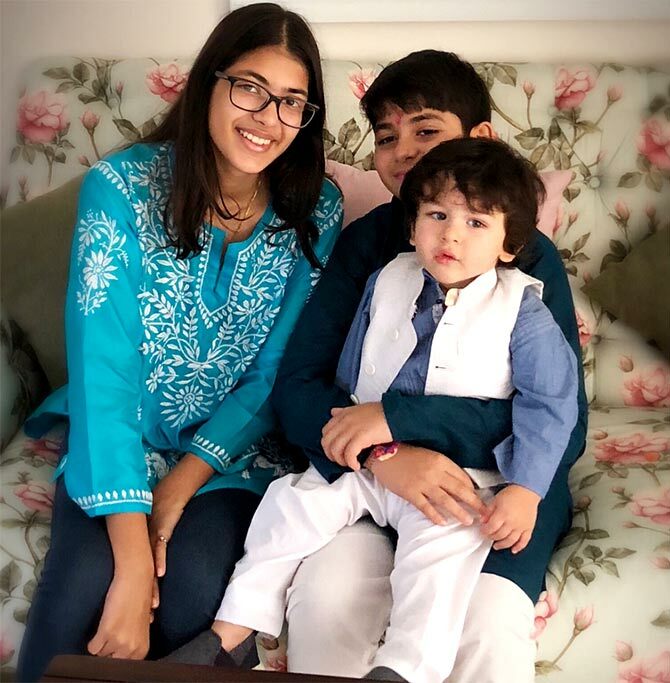 Doesn't Laksshya Kapoor look cute?